soon after they arrived aboard the recovery ship. their mission and returned to us safe and whole. 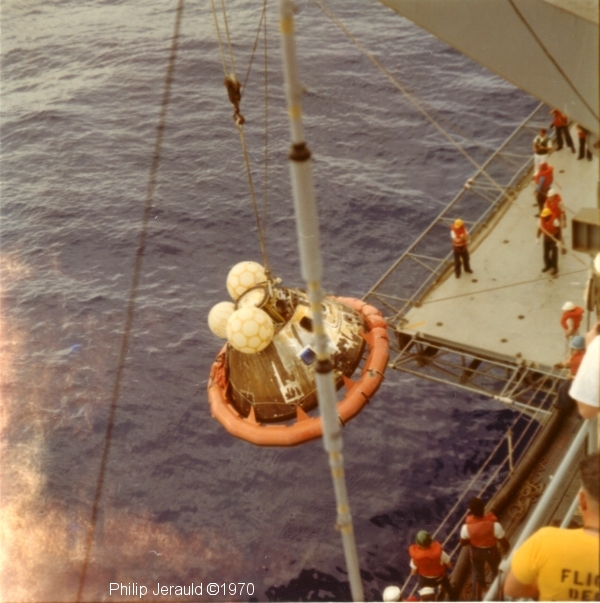 The Apollo 13 Command Module "Odyssey"
splashed down at 12:07:44 p.m. (CST), April 17, 1970, to conclude safely a perilous space flight. The three astronauts were picked up by helicopter and flown to the U.S.S. Iwo Jima. Standing at left is Captain Leland E. Kirkemo, Commanding Officer of the U.S.S. Iwo Jima. 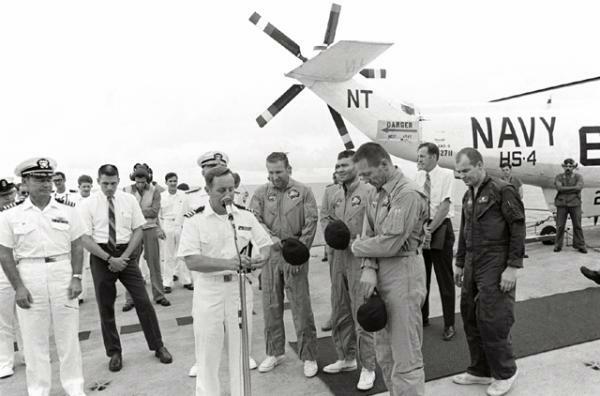 Commanding Officer of Task Force 130, the Pacific Recovery Force for the Manned Spacecraft Missions.